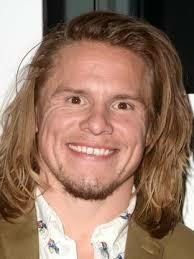 Tony Cavalero is an American actor and comedian. He is best known for his portrayal of Dewey Finn in the 2016 Nickelodeon television series School of Rock. His other television credits include The Single Life, Hart of Dixie, and Aim High. His notable film appearances include: The DUFF, After the Reality, Internet Famous, When We First Met, and 2018’s Dog Days. Born Anthony Cavalero on October 12, 1983 in Annandale, Virginia, USA, to parents Nancy and Michael Cavalero, he belongs to Italian and Swedish descent. He attended Annandale High School and graduated from the prestigious Virginia Military Institute. He later studied theater at CalStLA. He is a founding member of the long-form improvisational group Robert Downey Jr Jr, whose monthly Saturday! Saturday! Show is an LA Times Top Pick. In 2015, he married Annie Cavalero. *He was born on October 12, 1983 in Annandale, Virginia, USA. *He began his acting career in 2006. *He’s an Eagle Scout and a Black Belt in Tae Kwon Do. *He is a main company member of the Groundlings Theatre in Los Angeles.